I've been watching the latest series of Lewis with Kevin Whately & Laurence Fox. 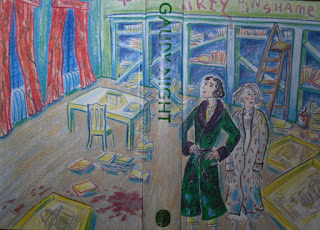 One episode was set at a Gaudy at an Oxford women's college & as soon as the program finished, I grabbed Gaudy Night & started reading it for the umpteenth time. This is one of my favourite books. Dorothy L Sayers is one of the few mystery writers I can reread. Even when I know whodunit, I read her books for the atmosphere & flavour of England in the 1920s & 30s. As P D James has said, if you want to know what it was like to work in an advertising agency in the 20s, you read Murder Must Advertise. Sayers worked in such an agency & she gets the office politics just right. The Nine Tailors is a loving portrait of life in a village in the Fens, the same kind of place where she grew up. Have His Carcase is a portrait of a seedy watering place where rich widows are seduced by gigolos. In some ways, the investigation takes second place for me to the evocation of a period that has gone. 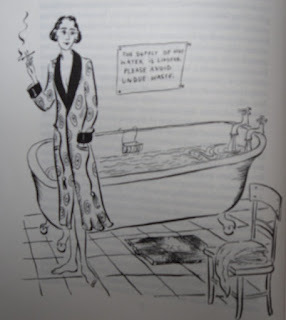 Harriet Vane is one of my literary heroines & Gaudy Night is her story. 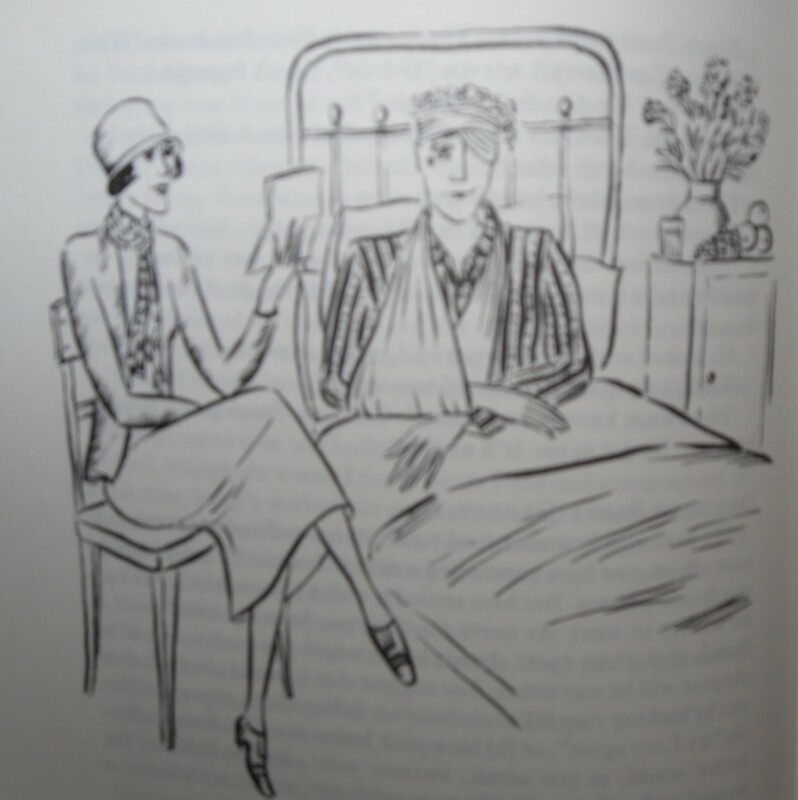 Peter Wimsey makes only fleeting appearances until quite late in the book. Harriet is a successful detective novelist. It's five years since she was tried for the murder of her lover, Philip Boyes, & acquitted with the help of Lord Peter Wimsey, who was convinced of her innocence from the moment he first saw her. 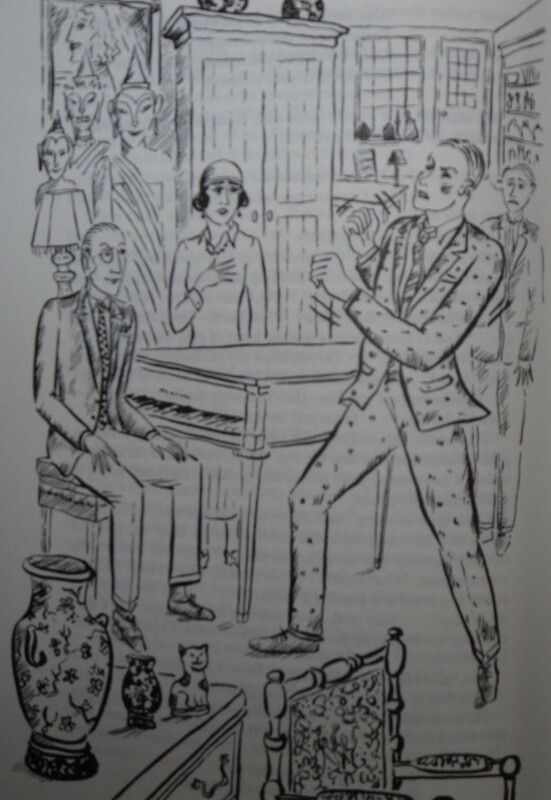 Wimsey has pursued Harriet with proposals of marriage ever since & she has done her best to reject him. When she is invited to her old college's Gaudy, she decides to go, if only to meet a friend who is now ill & wanting to see her. Harriet has avoided Oxford since she went down. She had to work hard to make a living & then her notoriety made her wary of going back. Now, she's made a success of her professional life, however unsatisfied she may be personally, & she returns to Oxford. The Gaudy reunites Harriet with old friends, some of whom she's happier to see than others. She finds she grown apart from Mary Stokes, the friend she came to meet, but is happy to be reacquainted with others, including the Dean, Miss Martin, & her English tutor, Miss Lydgate. Some of the other dons, including spiky Miss Hillyard, are less pleased at Harriet's return. When Harriet finds an anonymous letter in her gown, accusing her of murder, she thinks nothing of it. There have been many such letters & she returns to London after the Gaudy reflecting on how soothing a little time at Oxford pursuing some research would be. A letter from Miss Martin, asking Harriet to visit Shrewsbury College for the opening of the new Library, awakens Harriet's desire to retreat to academe for a while. The Dean & the Warden of the College want to consult Harriet about a spate of unpleasant practical jokes & anonymous letters that have been sent to dons & students. The letters are explicit & very nasty, accusing people of disgusting crimes & unnatural acts. They all seem to be against the idea of women intellectuals, seeing an unmarried woman as an abomination against nature. Harriet realises that the letter she found was part of the same campaign & therefore the culprit could only be a don or one of the college servants as very few students were in college during the Gaudy. Harriet agrees to investigate & returns to College to research the life of Sheridan LeFanu as well as helping Miss Lydgate with the proofs of her new book as a cover for her investigations. While there, she makes the acquaintance of Peter Wimsey's nephew, Lord St George, & is pursued by Reggie Pomfret, a young undergraduate who she discovers helping a very drunk Shrewsbury student over the College wall in the middle of the night. The incidents & letters keep coming, including the vandalising of the Library the night before the official opening & letters being sent to a vulnerable student who attempts suicide as a result. As the atmosphere among the dons grows more poisonous, Harriet realises that she needs help & decides to consult Peter. April was running out, chilly and fickle, but with the promise of good things to come; and the city wore the withdrawn and secretive beauty that wraps her about in vacation. No clamour of young voices echoed along her ancient stones; the tumult of flying bicycles was stilled in the narrow strait of the Turl; in Radcliffe Square the Camera slept like a cat in the sunshine, disturbed only by the occasional visit of a slow-footed don; even in the High, the roar of car and charabanc seemed minished and brought low, for the holiday season was not yet; punts and canoes, new-fettled for the summer term, began to put forth upon the Cherwell like the varnished buds upon the horse-chestnut tree, but as yet there was no press of traffic upon the shining reaches; the mellow bells, soaring and singing in tower and steeple, told of time's flight through an eternity of peace; and Great Tom, tolling his nightly hundred-and-one, called home only the rooks from off Christ Church Meadow. Harriet pursues her investigations & comes to terms with her feelings for Peter, finally seeing a way forward that will allow her to preserve her hard-won independence while allowing someone else into her life. I always find the last few pages, as Peter & Harriet stroll through the College grounds after hearing Bach's Double Violin Concerto, very moving. 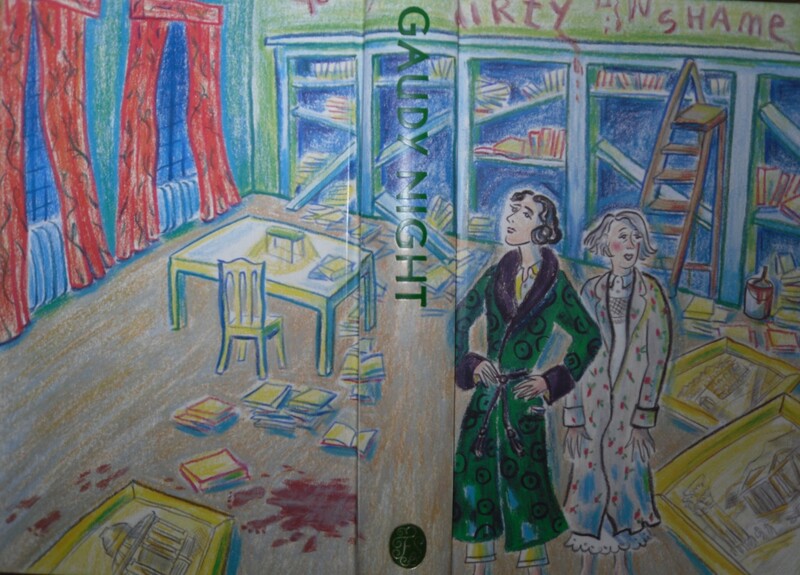 The pictures by Natacha Ledwidge are from my lovely Folio Society edition of Gaudy Night. I don't feel I'm done with Dorothy just yet though. In the middle of a hot Melbourne summer, maybe The Nine Tailors should be next or The Unpleasantness at the Bellona Club? Happy New Years 2012 !!! Oh, now you've made me want to read this again. I love the illustrations! The illustrations are fabulous - perfectly in tune with the story. I wish my copy was as beautiful as this, but it's just a a battered paperback. 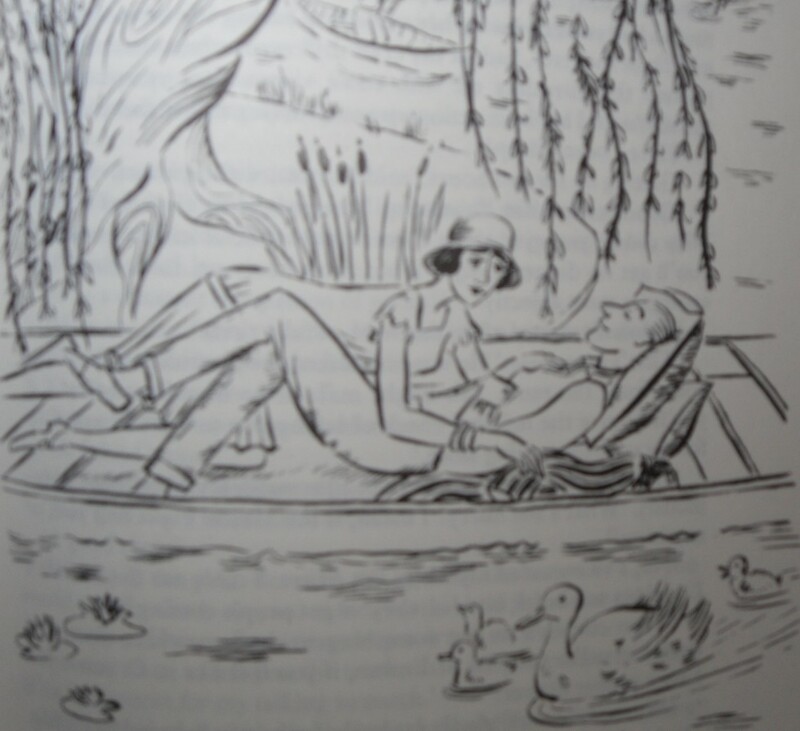 I've got exactly the same edition than you and I really love it with the beautiful illustrations by Natacha Ledwidge! Gaudy Night is really my favorite and you have expressed my feelings about Oxford. As I am a teacher, from time to time I get tired of reading because of all the students'works I've got to correct so I like audio books for a change and the Gaudy Night from the BBC with Ian Carmichael and Joanna David is also very pleasant to hear! Not on to Busman's Honeymoon, then? which I would love just for the Dowager Duchess's diary. Thanks for dropping by, Admin. Happy New Year to you. Audrey, I just wallowed in it. It was perfect. Chris I love the illustrations. I have a boxset of Folio Society Sayers, all with NL's illustrations. Maree-Josee, I also have the audio book you mention which is also great. I love the interview with P D James & Jill Paton Walsh at the end. The interviewer is quite clueless & PDJ & JPW end up just having a lovely conversation about DLS. I've also listened to the unabridged audio read by Ian Carmichael several times. He's an excellent narrator. Lisa May, I listened to the audio of BH not long ago. I agree, the Dowager Duchess is a hoot. I wish she popped up in the books more often. What lovely illustrations. No surprise to learn at the end that it's a Folio edition. I agree with everything you say except re the illustrations and that's only because I'm generally a no illustrations reader! I love to leave the ones in my head undisturbed ..if that makes sense? Have a Very Happy New Year Lyn! Mary, they are lovely, aren't they? Thank you Val, we'll have to agree to disagree about the illustrations! I do like these line drawings, they don't interfere with my vision of the characters (which is Ian Carmichael & Harriet Walter). Some illustrations can be intrusive though, I agree, depends on the artist. Happy New Year to you too. The cool change came this morning & the next week looks mild so we're all very happy. 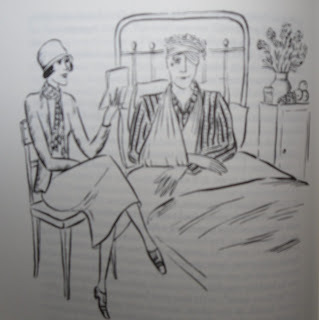 I love the illustrations, which must be by the same person who did the Mapp and Lucia illustrations for Folio - but, as you know, I rather hated the novel... sorry! Simon, the Mapp & Lucia illustrations are by NL, you're right. How odd that you didn't like Sayers & I didn't like Mapp & Co!? Well, I've only read one book but I couldn't get on with them at all. As I have the Folio set, I will give them another try one day. Thanks for your excellent review Lyn. I will follow this up at the library or ebay; very tantilised. Happy New Year. If you are in Adelaide at any stage, or over for the Writers' Festival in March, let me know and I will come into town and buy you a coffee. Belated Happy New Year - I hope that you and the girls had a happy Christmas too. Dorothy L Sayers is another author on my missing list, and your post makes me want to remedy that very soon so hopefully the library will have some copies! Happy New Year Merenia. Thanks for the offer of coffee, I'll let you know if I'm ever in Adelaide! Happy New Year Liz. We did have a good Christmas & New Year although with thunderstorms & hail on Christmas Day & a heatwave at New Year, we'd like a bit of calm, mild weather now. I hope you enjoy Dorothy when you get to her but maybe GN isn't the best place to start. Nine Tailors or Strong Poison (for the beginning of the Harriet & Peter story) would be best, I think. This book is far from my favourite by DLS, but your thoughtful review makes me feel I should try again. And yes, the illustrations are great. Thank you Martin. I love GN for the picture of Oxford & for Harriet. I can understand that it's not really a mystery in the Golden Age tradition & I know there are lots of readers who dislike it but I hope you enjoy it a little more if you have a chance to read it again. I'd planned on reading some Dorothy Sayers this year as part of my Vintage Mystery Reading Challenge and reading your wonderful review makes me even more eager. I thought I'd read all the Peter Wimsey books a long LONG time ago. But I don't remember this one at all and MURDER MUST ADVERTISE which I do remember loving. Time to get my hands on GAUDY NIGHT. Yvette, I reread at least one DLS novel every year. I watched the Ian Carmichael TV series of Bellona Club last weekend, that's another of my favourites. 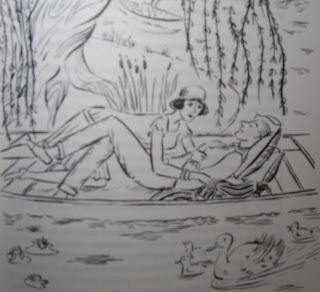 I think GN is the culmination of the Peter & Harriet story but it seems to me to be a very personal book to DLS as well with the beautiful picture she paints of Oxford. Well, just don't do an Elaine & read the whole lot - unless you have a couple of days to spare??! Hi guys, I would like to ask you a thing about Gaudy Night's plot. Why did Sayers talk about women and their right to study and be equal to men and then it is Peter who solve the crime in the end? I think Sayers shows that Peter & Harriet have an equal relationship. Peter couldn't have solved the mystery without Harriet's investigations & her dossier. He did solve the mystery but I don't think it has anything to do with Sayers's views on equality. What a lovely essay! I love that book, and have re-read it at least twice. One of Sayers' best!! Thanks Elizabeth. I agree with you about GN, it's my favourite of DLS's novels & I think she put her heart & sould into it. Hi - I know this blog post is old, but I just stumbled across it and must say that your essay is brilliant. I too am a big DLS fan, and this book in particular, is my favorite. I'm so glad to see that her books are still being read! Thank you. I think there are lots of DLS fans out there & this is my favourite of her books. It must be time for a reread.